KARACHI: The swing of the Askari Amusement Park which had a fatal crash on July 14 was ‘not brand new’, ‘low quality material was used’ and ‘not properly welded’, according to a report submitted by a committee formed by Chief Secretary Major (retd) Azam Suleman Khan to investigate the incident. 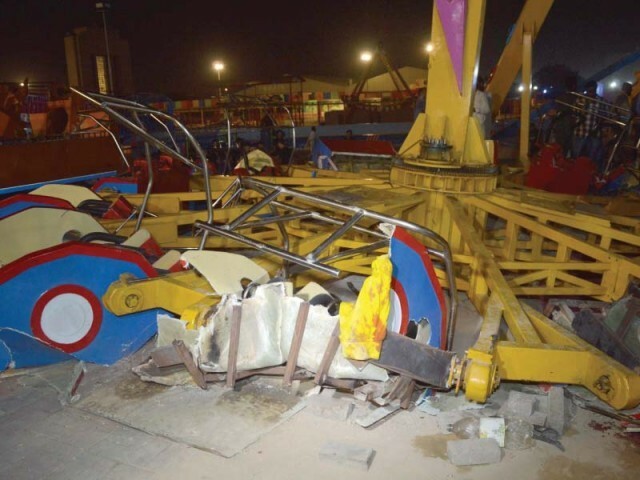 A 12-year-old girl, Kashaf Dukhtar, was killed and 25 others injured when a ride, being operated on a trial basis, in Karachi’s newly-inaugurated Askari Amusement Park broke apart earlier this month. PIB Colony police had registered an FIR against the park’s management for unintentional murder and negligence. According to the report, Imran, one of the shareholders of the company managing the amusement park, informed that all the rides were installed by a Chinese expert. He presented before the committee the import documents, including the goods declaration form, billing of lading and certificate of origin. Goods declaration is a statement made in the manner prescribed by Customs, by which the person concerned, the importer or exporter, indicates the Customs procedure to be applied to the goods and furnish the particulars which Customs require for its application. The import document shows that the swing was shipped from Qingdao in China and Sonia International at Al-Rehman Trade Centre imported the equipment in Pakistan, whereas Haji Muhammad Enterprise was the declarant of the shipment. Column 42 of the goods declaration form includes the item description of goods then the name of the equipment as ‘Electrical Fly Turtle Amusement Rides Game’. The name of the manufacturer was not mentioned in any of the import documents. Imran stated before the committee that the ride was purchased from Zhengzhou Tongxing Amusement Equipment Co Ltd, located at Xingyang city, Henan in China. However, the report states that all products of Zhengzhou Tongxing Amusement Equipment Co Ltd were checked on the company’s website, but the Electrical Fly Turtle Amusement Ride was not found in the product list of the company. When Imran was asked to provide the assembly manual, product manual, operation and maintenance guidelines that usually come with any new product, he only provided a four-page printout of a document in Chinese along with English translation, which contained a brief introduction and the operation and precautions for the ride. “Daily maintenance schedule and records were also provided to the committee, which reflected weak internal controls,” the report reads. The missing elements, according to the report, was the design requirement, which includes risk assessment, stress analysis, stability test, balancing, lifting, braking system and risk reduction by prevailing design and safety measures. The installation and commission guidelines were also not followed. The welding standards were low. The missing elements also included qualification and relevant work experience of the installation and commissioning engineers. The document provided by Imran suggested horizontal calibration but the procedure of horizontal calibration and required tool for horizontal calibration were not mentioned. It further mentions that no information is given about the dimension of the main bracket, bracket material and how to connect four lags of the turtle ride. There was no information about connecting bolts. The report stated that general testing, test for unbalanced load, test for electrical installation were missing. On the field visit observation, the committee said that the ride was broken and found in two pieces. The number of broken and damaged bolts were scattered around and close inspection of the ride structure and ride bogies revealed that the ride wasn’t brand new and low quality material was used. The welding quality was very poor and porosity was observed in the welding and no proper welding SOPS were followed during the ride installation. “Loose nuts and bolts were observed. They were not properly torqued,” the report reads. In order to inspect the root cause of the incident, the broken part was examined and it was observed that the accident occurred due to the failure flange coupling connecting the ride with the balancing weight. Flange coupling is used for slightly imperfect alignment of the two shafts. The pins are rigidly fastened by nuts to one flange and kept loose on the other. “Two thirds of the flange coupling and one third of the flange bolts were found broken. The flange was not properly welded with the structure. Other flanges and joints are also weak and distorted,” it reads. It was concluded in the report that the ride wasn’t brand new at the time of installation and the operational staff wasn’t qualified. “A number of check points on the daily inspection checklist were not signed,” it reads. The report added that the ride had already been marked unsatisfactory for use from June 2 to July 8 by the inspection team. At the end of the report, it was recommended that the Karachi Metropolitan Corporation (KMC), Sindh Building Control Authority and professors from renowned universities should inspect the workability, fitness and safety of all rides of the Askari Amusement Park. “One should frame rules and regulations for the entire country [after such an incident]” it concludes. 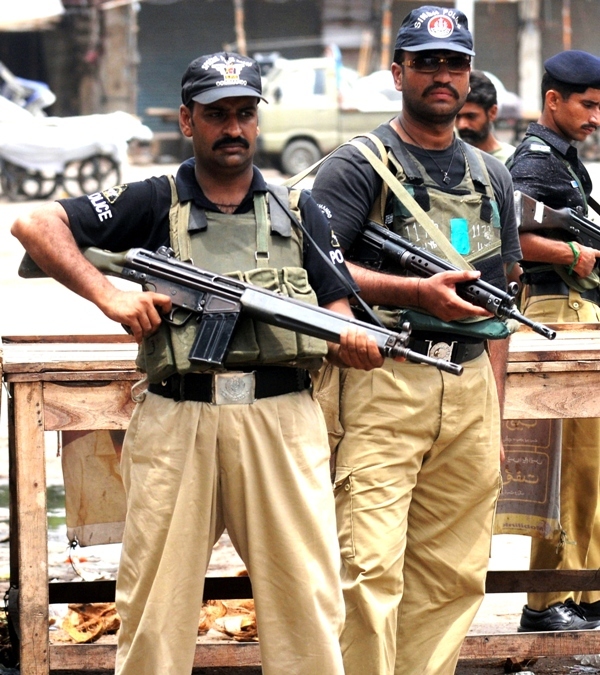 After the police and District Central Deputy Commissioner Ahmed Ali Siddiqui’s report, the The Sindh High Court (SHC) gave on Tuesday a deadline till August 9 to the Askari Park management to file its comments on a plea against using Askari Park on a commercial basis. During the hearing of the plea, held by a two-member bench on Tuesday, District East Deputy Commissioner Ahmed Ali Siddiqui and police presented a report to the court on the incident which claimed a life and injured many others. The plaintiff’s lawyer observed that ill-maintained swings at Askari Park pose a threat to people’s lives. Carving out a green belt from the park without a no-objection certificate and using it on a commercial basis is illegal, the lawyer argued, saying that the park’s management should be asked to submit detailed replies on high-rise swings in the park. Many of the city’s parks are illegally occupied and those left are being used on a commercial basis, he argued, adding that leaving a 300 yard space vacant around expanded and latest swings is necessary. The lawyer said that the incident that claimed the life of a young girl and injured many others was due to the dangerous swings. He lamented that the park management did not have the facility of proper first-aid to treat people in case of an emergency. After viewing the report and listening to the plaintiff’s arguments, the bench directed the park management to submit its reply by August 9.